Ginger Mysore is situated just opposite the Vasant Mahal. 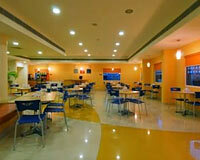 Ginger Mysore is a striking hotel, perfectly placed near the magnificent Karingi Lake in Mysore. 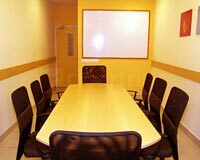 Located at a short distance from the main bus stand, the hotel is easily accessible from all the sites of attraction and corporate centers in the city. 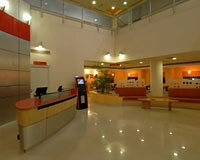 Offering impeccable hospitality and cordial services, the hotel caters to all the needs of the guests. 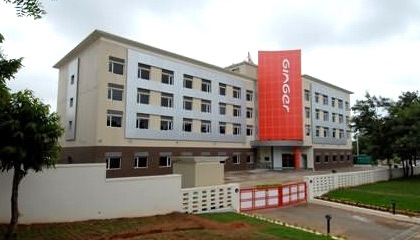 Snug accommodation units, well-maintained conference hall, fitness centre, and fine eatery are some peculiar features that make Ginger Mysore one of the most preferred destinations to stay in Mysore. 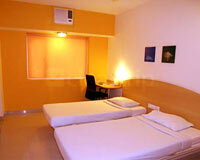 The hotel offers Smart Space Room, categorized as Single Room, Twin Room and Double Room. 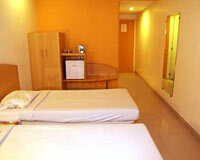 All the rooms are beautifully designed, pleasingly clean and are equipped with the latest amenities. 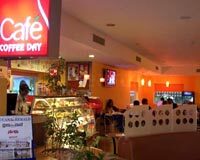 Square Meal: A multi-cuisine restaurant that serves scrumptious food.